Hello there peeps, how have the first eight days of January been treating you? I haven’t done anything spectacular as such and since London is looking more grey than ever I sadly haven’t even managed to do any photo shoots – sob! But it’s all good because tomorrow I’ll start sharing my holiday pictures from Malaga – weather wise nothing to do with London but at least I’ll be introducing a few of my wardrobe newbies. I’ve got one more artsy post I’m just going to have to share with your guys before I get my fashion on – which will be a lot more positive than my previous post! 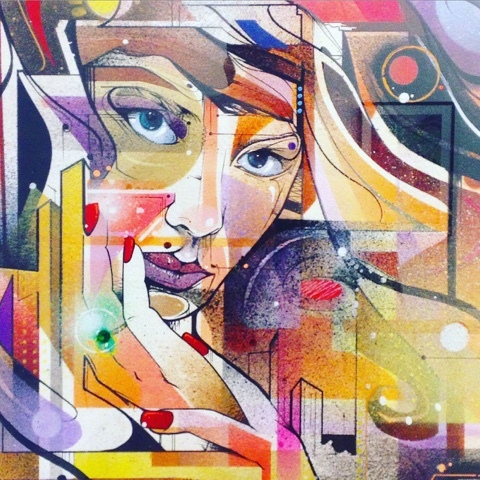 Those who follow me on Instagram may remember a few posts dedicated to one of my favourite street artists, Mr. Cenz. 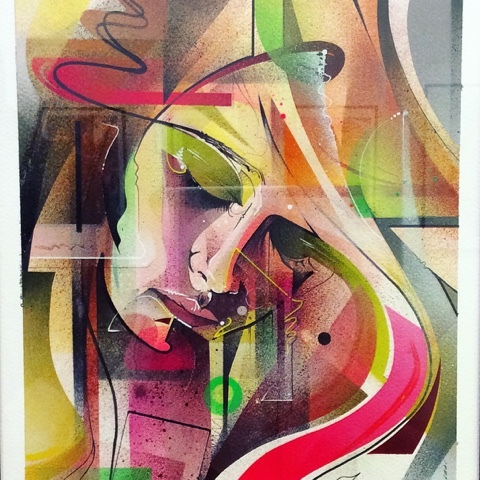 There’s really not much I can say other than turn this post into a love letter, as I absolutely adore Mr. Cenz’s work! 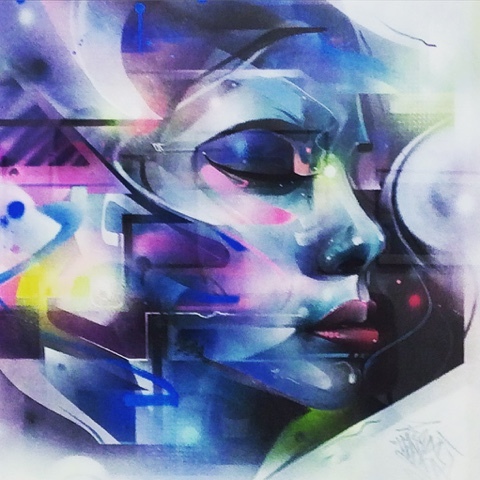 Funnily enough though I only became properly familiar with his work in 2015 (the street art tour I went on last April helped me finally put a name to the work) and I wasn’t a fan straight away, but little by little, the more I saw of Mr. Cenz’s beautiful women and swirls, the more it grew on me – and I converted. 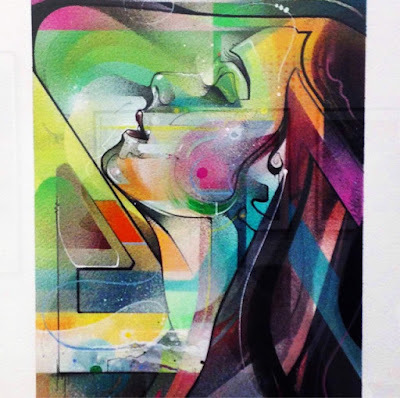 Born in Britain, Julian Phethean aka Mr. Cenz is a true veteran in the world of street art, having been being seduced by the scene in the eighties. 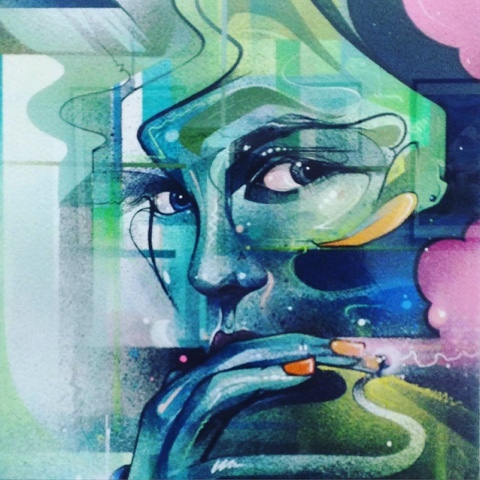 He started with graffitis and now paints the streets of the world with his mystical ladies. 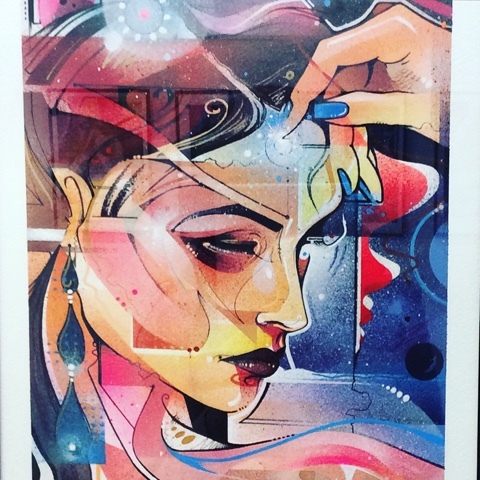 In an interview with City Of Colours he stated his work is “purely aesthetic” and doesn’t have a profound meaning as such – something which I love! 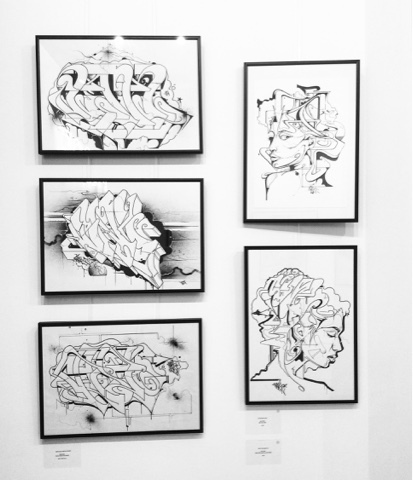 I am a firm believer in art for the sake of art and get tired of trying to understand what a piece means. Perhaps that makes me superficial but I couldn’t care less. 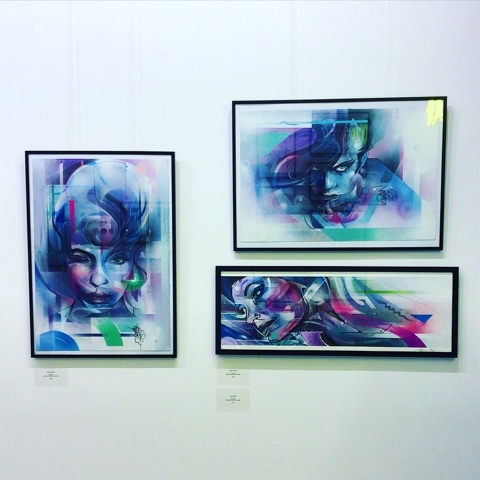 What I personally love about Mr. Cenz’s work is his use of colour and the almost 3D like effect. 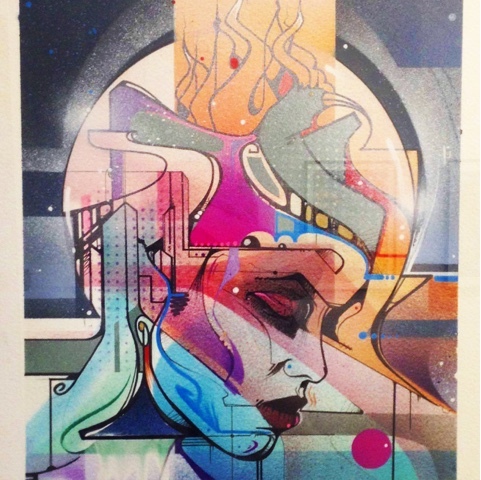 His girls have an ethereal futuristic, science fiction feel – but have a lot of emotion too. 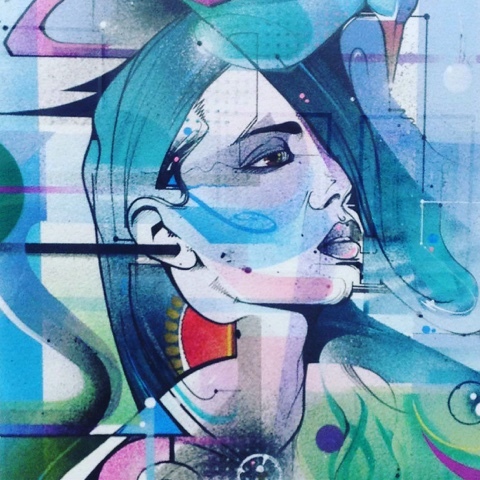 When it comes to graffiti, Mr. Cenz clearly hasn’t lost it, there seems to be a strong connection with the women and the writing. 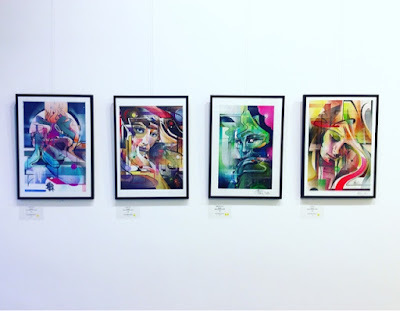 This solo exhibition was a relative quickie, on from the 5th to the 29th of November last year. I’m sorry to be reporting on exhibitions so late and when they’ve already ended guys, I’m adding ‘Get more organised’ to my 2016 new year resolutions list. 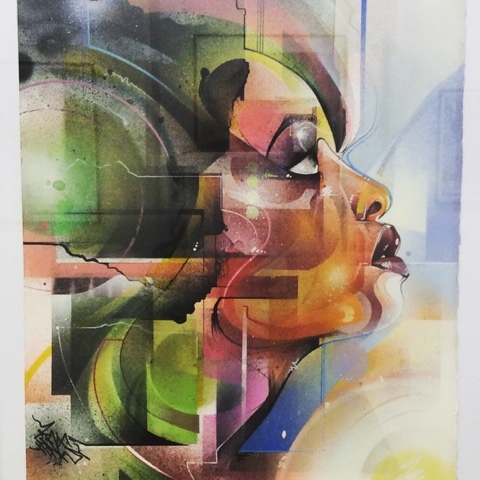 It was very interesting seeing Mr. Cenz’s work on paper instead of on the walls of London – he really is a master of mixing colours and portraying women in any medium. And whilst it was impactful in its own way seeing his work in a gallery, nothing beats spotting his large-scale faces on any given street of London. 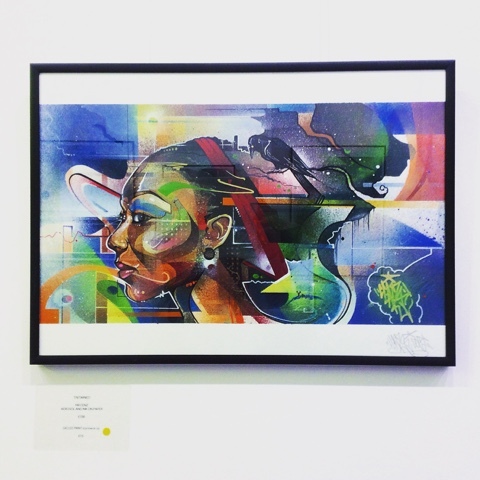 Photographs taken by me on November 21st 2015 in Proof Gallery, Brick Lane, East London.